Halloween, harvest festivals, and general autumnal celebrations lead to an abundance of everyone’s fall favorite: pumpkins. While you partake in pumpkin spice lattes and jack-o-lantern carvings, why not share some gourd indulgences with the birds? 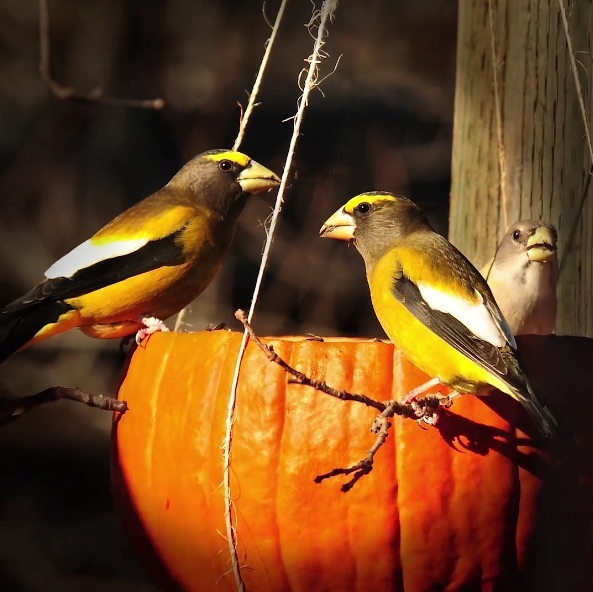 This bird feeder is the perfect use of an extra or post-trick-or-treat pumpkin. Read more at audubon.org.